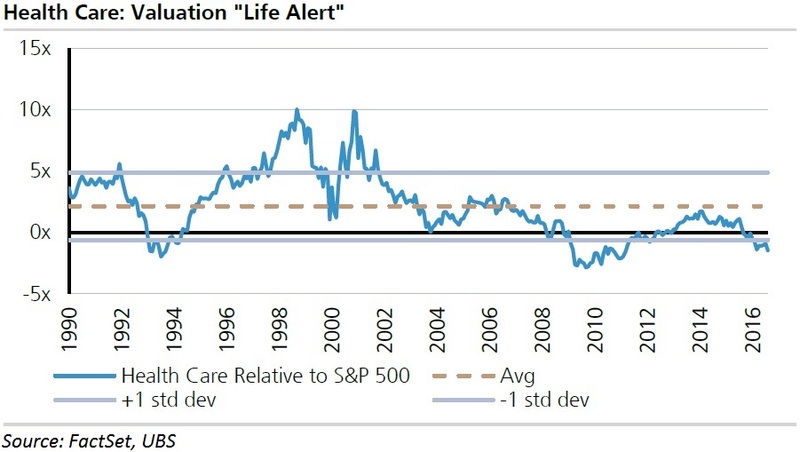 BioEquity provides a tracking history of price multiple valuation for Big market (S&P 500), Healthcare sector (XLV) and Biotechnology industry (IBB). It tells how the sector and industry are relatively valuated comparing to history and big market. Update weekly on Monday morning 6:25 AM Eastern Time. A valuation ratio of the price paid for a share relative to sales per share for the last 4 quarters. Price To Sales Ratio number indicates the amount of dollars paid on the stock market for one dollar of Sales. The P/E ratio is the most widely used ratio in the valuation of stocks. A valuation ratio of the price paid for a share relative to earnings per share for the last 4 quarters. Price To Earnings number indicates the number of years of identical earnings to pay back purchase price of Stock. GuruFocus provides Sector Shiller P/E ratios.